I was recently asked as a Buffalo DWI Lawyer how the DMV enforces DWI and DWAI convictions. If you have multiple DWI or DWAI over a certain amount of time, you could have your license revoked for 5, 10 and even your life time. If you have had 5 or more alcohol related convictions over the last 25 years, the DMV may revoke your license for life. If you have had several incidences of refusing a breath test, the DMV may revoke your license for several years. 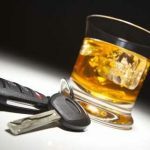 If you have had any alcohol related charges in New York State, contact Attorney Arthur Pressman to make sure your driving privilege is intact.